McConnell’s first KC-46A Pegasus lands on the flightline Jan. 25, 2019, at McConnell Air Force Base, Kansas. 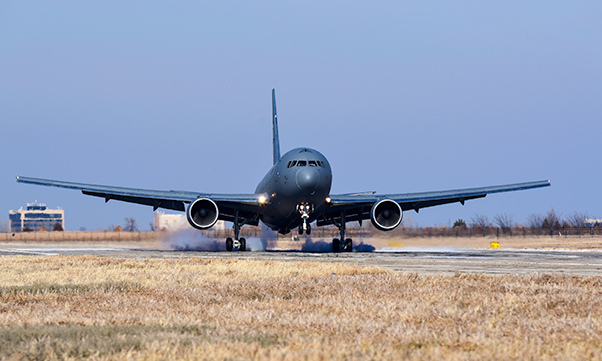 The KC-46 will serve alongside the KC-135 Stratotanker at McConnell and supply critical aerial refueling, airlift and aeromedical evacuations at a moment’s notice for America’s military and allies. 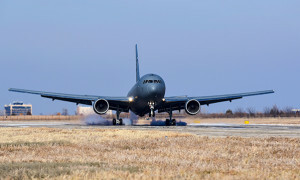 A ceremony introducing the first KC-46A Pegasus delivered to the Air Force was held Jan. 25, 2019, at McConnell Air Force Base, Kansas.